"Banaba" redirects here. For other uses, see Banaba (disambiguation). 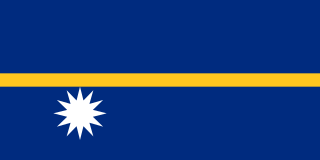 Nauru, officially the Republic of Nauru and formerly known as Pleasant Island, is an island country in Micronesia, a subregion of Oceania, in the Central Pacific. Its nearest neighbour is Banaba Island in Kiribati, 300 kilometres (190 mi) to the east. It further lies northwest of Tuvalu, north of the Solomon Islands, east-northeast of Papua New Guinea, southeast of the Federated States of Micronesia and south of the Marshall Islands. With only a 21-square-kilometre (8.1 sq mi) area, Nauru is the third-smallest state on the list of countries and dependencies by area behind Vatican City and Monaco, making it the smallest state in the South Pacific Ocean, the smallest island state, and the smallest republic. Its population is 11,347, making it the third smallest on the list of countries and dependencies by population, after the Vatican and Tuvalu. According to "Te Rii Ni Banaba—The Backbone of Banaba" by Raobeia Ken Sigrah, Banaban oral history supports the claim that the people of the Te Aka clan, which originated in Melanesia, were the original inhabitants of Banaba (Ocean Island), having arrived before the arrival of later migrations from the East Indies and Kiribati. The name Banaba in the local Gilbertese language is correctly spelled Bwanaba, but the Constitution of 12 July 1979 writes Banaba, meaning "hollow land". Oral history is the collection and study of historical information about individuals, families, important events, or everyday life using audiotapes, videotapes, or transcriptions of planned interviews. These interviews are conducted with people who participated in or observed past events and whose memories and perceptions of these are to be preserved as an aural record for future generations. Oral history strives to obtain information from different perspectives and most of these cannot be found in written sources. Oral history also refers to information gathered in this manner and to a written work based on such data, often preserved in archives and large libraries. Knowledge presented by Oral History (OH) is unique in that it shares the tacit perspective, thoughts, opinions and understanding of the interviewee in its primary form. 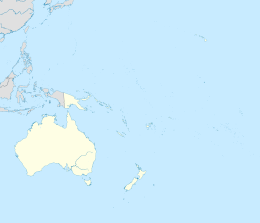 Melanesia is a subregion of Oceania extending from New Guinea island in the southwestern Pacific Ocean to the Arafura Sea, and eastward to Fiji. The East Indies or the Indies are the lands of South and Southeast Asia. In a more restricted sense, the Indies can be used to refer to the islands of Southeast Asia, especially the Indonesian Archipelago and the Philippine Archipelago. The name "Indies" is derived from the River Indus and is used to connote parts of Asia that came under Indian cultural influence. Sigrah makes the controversial (and politically loaded) assertion that Banabans are ethnically distinct from other I-Kiribati. The Banabans were assimilated only through forced migrations and the impact of the discovery of phosphate in 1900. There used to be four villages on the island - Ooma (Uma), Tabiang, Tapiwa (Tabwewa), and Buakonikai. The local capital was Tabiang, now called Antereen. This article is about the demographic features of the population of Kiribati, including population density, ethnicity, education level, health of the populace, economic status, religious affiliations and other aspects of the population. The first known sighting of Banaba occurred on 3 January 1801. Captain Jared Gardner in the American vessel Diana sighted the island. Then in 1804, Captain John Mertho of the convict transport and merchant ship Ocean sighted the island and named it after his vessel. Ocean was an English merchant ship and whaler built in 1794 at South Shields, England. She performed two voyages as an "extra" ship for the British East India Company (EIC) and later, in 1803, she accompanied HMS Calcutta to Port Phillip (Melbourne). The vessels supported the establishment of a settlement under the leadership of Lt Col David Collins. Calcutta transported convicts, with Ocean serving to transport supplies. When the settlers abandoned Port Phillip, Ocean, in two journeys, relocated the settlers, convicts and marines to the River Derwent in 1804. The Pacific Islands Company, under John T. Arundel, identified that the petrified guano on Banaba consisted of high grade Phosphate rock.The agreement made with the Banabans was for the exclusive right to mine for 999 years for £50 a year. The terms of the licenses were changed to provide for the payment of royalties and compensation for mining damage   , amounting to less than 0.1% of the profits the PIC made during its first 13 years  . John T. Arundel was an English entrepreneur who was instrumental in the development of the mining of phosphate rock on the Pacific islands of Nauru and Banaba. Williams & Macdonald (1985) described J.T. Arundel as "a remarkable example of that mid-Victorian phenomenon, the upright, pious and adventurous Christian English businessman." Guano is the accumulated excrement of seabirds and bats. As a manure, guano is a highly effective fertilizer due to its exceptionally high content of nitrogen, phosphate and potassium: nutrients essential for plant growth. Guano was also, to a lesser extent, sought for the production of gunpowder and other explosive materials. The 19th-century guano trade played a pivotal role in the development of modern input-intensive farming, but its demand began to decline after the discovery of the Haber-Bosch process of nitrogen fixing led to the production of synthetic fertilizers. The demand for guano spurred the human colonization of remote bird islands in many parts of the world. During the 20th century, guano-producing birds became an important target of conservation programs and influenced the development of environmental consciousness. Today, guano is increasingly sought after by organic farmers. Japanese forces occupied the island from 26 August 1942 until the end of World War II in 1945. The British authorities relocated most of the population to Rabi Island, Fiji after 1945, with subsequent waves of emigration in 1977 and 1981-1983. Some have subsequently returned, following the end of mining in 1979; approximately 300 were living on the island in 2001. The population of Banaba in the 2010 census was 295. Globally, there are an estimated 6000 individuals of Banaban descent. On Rabi Island the names of settlements are the same authentic four names from Banaba Island. Banaba Island is a political anomaly. Despite being part of Kiribati, its municipal administration is by the Rabi Council of Leaders and Elders, which is based on Rabi Island, in Fiji. On 19 December 2005, Teitirake Corrie, the Rabi Island Council's representative to the Parliament of Kiribati, said that the Rabi Council was considering giving the right to remine Banaba Island to the government of Fiji. This followed the disappointment of the Rabi Islanders at the refusal of the Kiribati Parliament to grant a portion of the A$614 million trust fund from phosphate proceeds to elderly Rabi islanders. Corrie asserted that Banaba is the property of their descendants who live on Rabi, not of the Kiribati government, asserting that, "The trust fund also belongs to us even though we do not live in Kiribati". He condemned the Kiribati government's policy of not paying the islanders. On 23 December, Reteta Rimon, Kiribati's High Commissioner to Fiji, clarified that Rabi Islanders were, in fact, entitled to Kiribati government benefits - but only if they returned to Kiribati. She called for negotiations between the Rabi Council of Leaders and the Kiribati government. On 1 January 2006, Corrie called for Banaba to secede from Kiribati and join Fiji. Kiribati was using Banaban phosphate money for its own enrichment, he said; of the five thousand Banabans in Fiji, there were fewer than one hundred aged seventy or more who would be claiming pensions. The stated wish of the Kiribati government to reopen mining on Banaba is strongly opposed by many in the Banaban diaspora. Some of the leaders of the displaced Banaban community in Fiji have called for Banaba to be granted independence. One reason given for the maintenance of a community on Banaba, at a monthly cost of F$12,000, is that if the island were to become uninhabited, the Kiribati government might take over the administration of the island, and integrate it with the rest of the country. Kiribati is believed to be anxious to retain Banaba, in the hope of remining it in the future. Additionally, along with Kiritimati, it is a low-lying coral atoll but less susceptible to rising sea levels. Correspondent. (1913, 5 June). "Modern buccaneers in the West Pacific". The New Age, pp. 136–140 (Online). Available: http://dl.lib.brown.edu/pdfs/1140814207532014.pdf (accessed 12 June 2015). A Pattern of Islands, memoirs by Sir Arthur Grimble (published 1957), recounts his stay on the island at the beginning of his career, starting from 1914. Kiribati, officially the Republic of Kiribati, is a sovereign state in Micronesia in the central Pacific Ocean. The permanent population is just over 110,000 (2015), more than half of whom live on Tarawa Atoll. The state comprises 32 atolls and reef islands and one raised coral island, Banaba. They have a total land area of 800 square kilometres (310 sq mi) and are dispersed over 3.5 million square kilometres. Their spread straddles both the equator and the 180th meridian, although the International Date Line goes round Kiribati and swings far to the east, almost reaching the 150°W meridian. This brings the Line Islands into the same day as the Kiribati Islands. Kiribati's easternmost islands, the southern Line Islands, south of Hawaii, have the most advanced time on Earth: UTC+14 hours. The islands which now form the Republic of Kiribati have been inhabited for at least seven hundred years, and possibly much longer. The initial Micronesian population, which remains the overwhelming majority today, was visited by Polynesian and Melanesian invaders before the first European sailors visited the islands in the 17th century. For much of the subsequent period, the main island chain, the Gilbert Islands, was ruled as part of the British Empire. The country gained its independence in 1979 and has since been known as Kiribati. Politics of Kiribati takes place in a framework of a parliamentary representative democratic republic, whereby the President of Kiribati is the head of government, and of a multi-party system. Executive power is exercised by the government. Legislative power is vested in both the government and the House of Assembly. The Judiciary is independent of the executive and the legislature. 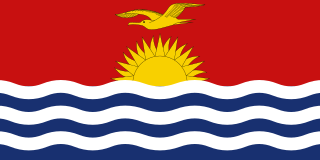 The constitution promulgated at independence on 12 July 1979, establishes the Republic of Kiribati as a sovereign democratic republic and guarantees the fundamental rights of its citizens. Nauru is a tiny phosphate rock island nation located in the South Pacific Ocean south of the Marshall Islands in Oceania. It is only 53 kilometres (33 mi) south of the Equator at coordinates 0°32′S166°55′E. Nauru is one of the three great phosphate rock islands in the Pacific Ocean — the others are Banaba in Kiribati and Makatea in French Polynesia. The Gilbert Islands are a chain of sixteen atolls and coral islands in the Pacific Ocean about halfway between Papua New Guinea and Hawaii. They form the main part of Kiribati. Taetae ni Kiribati or Gilbertese, also Kiribati, is a Micronesian language of the Austronesian language family. It has a basic verb–object–subject word order. Ieremia Tienang Tabai, born 16 December 1949, was the first Beretitenti (President) of the Republic of Kiribati. During his presidency he was described as being the most able leader of the Pacific island states. Arthur Charles Hamilton-Gordon, 1st Baron Stanmore was a British Liberal Party politician and colonial administrator. He had extensive contact with Prime Minister William Ewart Gladstone. Rabi is a volcanic island in northern Fiji. It is an outlier to Taveuni, in the Vanua Levu Group. It covers an area of 66.3 square kilometers, reaching a maximum altitude of 463 meters and has a shoreline of 46.2 kilometers. With a population of around 5,000, Rabi is home to the Banabans who are the indigenous landowners of Banaba Island; the indigenous Fijian community that formerly lived on Rabi was moved to Taveuni after the island was purchased by the Banabans. The original inhabitants still maintain their links to the island, and still use the Rabi name in national competitions. The coat of arms of Kiribati officially known as the National Emblem of Kiribati is the heraldic symbol representing the Central Pacific island nation of Kiribati. The arms feature a yellow frigatebird over a rising sun on a red background among white and blue stripes and the 3 groups of stripes represent. The 17 rays of the sun represent the 16 Gilbert Islands and Banaba. On the ribbon under the shield is the Gilbertese motto Te Mauri Te Raoi Ao Te Tabomoa. The British Phosphate Commissioners (BPC) was a board of Australian, British, and New Zealand representatives who managed extraction of phosphate from Christmas Island, Nauru, and Banaba Island from 1920 until 1981. Nikunau is a low coral atoll in the Gilbert Islands and forms a council district of the Republic of Kiribati. It consists of two parts,, joined by an isthmus about 150 metres (490 ft) wide. The economy of Nauru has been almost wholly dependent on phosphate, which has led to environmental catastrophe on the island, with 80% of the nation’s surface having been strip-mined. 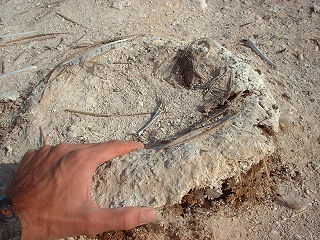 The island's phosphate deposits were virtually exhausted by 2000 although some small-scale mining is still in progress. The Japanese occupation of Nauru was the period of three years during which Nauru, a Pacific island under Australian administration, was occupied by the Japanese military as part of its operations in the Pacific War during World War II. With the onset of the war, the islands that flanked Japan's South Seas possessions became of vital concern to Japanese Imperial General Headquarters, and in particular to the Imperial Navy, which was tasked with protecting Japan's outlying Pacific territories. Tito v Waddell  Ch 106 is an English trusts law case, concerning what counts as a trust, and creates fiduciary duties, and when specific performance will be ordered. It is important as an historical case that forced the eviction of the people from the island of Banaba. On the points of specific performance, it has been superseded in the cases of Ruxley Electronics Ltd v Forsyth. It stands as an historical example of an indigenous community exploited and expropriated by the mercantile mining interests of the British Empire. The Ocean Island Railway was a 3 kilometres (2 mi) long guano mining railway with a gauge of initially 2 ft, and after 1937 of 3 ft and finally 1,435 mm on Ocean Island. ↑ The correct spelling and etymology in Gilbertese should be Bwanaba but the Constitution of Kiribati writes Banaba. Because of the spelling in English or French, the name was very often written Paanapa or Paanopa, as it was in 1901 Act. ↑ Dahl, Arthur (July 12, 1988). "Islands of Kiribati". Island Directory. UN System-Wide Earthwatch Web Site. Retrieved April 14, 2012. 1 2 3 4 5 "19. Banaba" (PDF). Office of Te Beretitent - Republic of Kiribati Island Report Series. 2012. Retrieved 28 April 2015. ↑ Sigrah, Raobeia Ken, and Stacey M. King (2001). Te rii ni Banaba.. Institute of Pacific Studies, University of the South Pacific, Suva, Fiji. ISBN 982-02-0322-8. 1 2 Maslyn Williams & Barrie Macdonald (1985). The Phosphateers. Melbourne University Press. ISBN 0-522-84302-6. ↑ Ellis, Albert F. (1935). Ocean Island and Nauru; Their Story. Sydney, Australia: Angus and Robertson, limited. OCLC 3444055. ↑ Gregory T. Cushman (2013). Guano and the Opening of the Pacific World. Cambridge University Press. p. 127. ↑ Correspondent (5 June 1913). "Modern buccaneers in the West Pacific" (PDF). New Age: 136–140. ↑ Premier Postal History. "Post Office List". Premier Postal Auctions. Retrieved 5 July 2013. ↑ Burgess, S.M., The climate and weather of Western Kiribati, NZ Meteorological Service, Misc. Publ. 188(7), 1987, Wellington. ↑ Wright, Ronald (1986). On Fiji Islands, New York:Penguin, p. 116. ↑ Wright, Ronald (1986). On Fiji Islands, New York:Penguin, p. 152. ↑ Wright, Ronald (1986). On Fiji Islands, New York:Penguin, pp. 115-154.